Investors are pulling money out of the U.S. market at an alarming rate, resulting in the longest and most aggressive outflow streak since 2004. Meanwhile, stocks are middling. Does this wave of selling mean stock prices have finally reached their peak? U.S. stock funds were sapped by $30 billion over the past 10 weeks. Investors are abandoning U.S. markets and reinvesting their funds elsewhere — primarily in emerging markets and European or Japanese stocks (which received a combined $36 billion in inflows over the same 10-week period). First of all, political instability is growing stronger by the day. The Trump administration continues to involve itself in fresh scandals, while struggling to rid itself of old ones. And the dizzying spin of the administration’s revolving door of officials only makes things worse. Plus, Washington gridlock and the administration’s inability to so far make good on its pro-growth policy promises is giving investors another reason to lose faith in U.S. markets. We haven’t witnessed an outflow in U.S. stocks this significant since 2004 . And if it continues, it could end up being the biggest in history. Can Markets Weather This Storm? There’s no question that U.S. markets will take a hit from this selling activity. The real question is just how big that hit will be. Although stocks made modest gains over the 10 weeks spanning the outflow, they’re now starting to fall off. This could very well be the catalyst that triggers the end of our current bull market — which, by the way, represents the third longest period of economic expansion in U.S. history. Markets are cyclical, and we’re long overdue for a correction. That said, if this is the beginning of our next correction, what should average savers do before the situation gets worse? As the outlook for U.S. stocks grows bleaker, there’s one asset that’s already thriving in response: physical precious metals, especially gold. And the tremendous outflow in U.S. markets is just one of the reasons why gold is shining brighter and brighter. Nuclear tensions with North Korea… concern that Congress will fail to authorize new spending and raise the debt limit… threat of government shutdown… a falling dollar (which makes gold more attractive to foreign buyers)… and a whole host of other positive price drivers are boosting gold right now. The result? Gold just reached its highest price this year, at a closing price that also breaks its highest level since September 2016. On top of that, retail and professional investors are starting to make big bullish bets on gold. 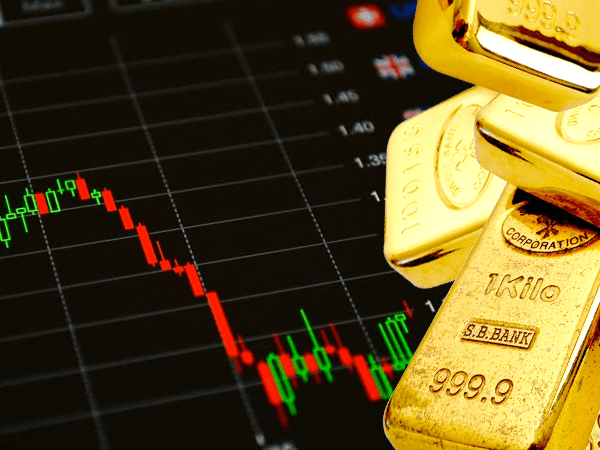 According to a recent Wall Street Journal analysis, market sentiment implies traders are expecting gold to rise steadily — fueled by a variety of factors, including the ones mentioned above — in the months ahead. If you haven’t done so already, most indicators suggest that this could be a very good time to get into gold before prices jump higher.